Athens, April 8, 2019 – For the 7th consecutive year, “Navarino Challenge”, the annual celebration of sports, comes to Messinia and Costa Navarino from October 11 to 13, 2019 with new surprises and new activities! Nick Galis will be the guest of honour at this year's event and he will be the one to tip off the 4on4 tournament at Costa Navarino. Participants who book their accommodation package at The Westin Resort Costa Navarino will, for the first time this year, have the opportunity to form their own championship team and compete in the tournament until the finals. 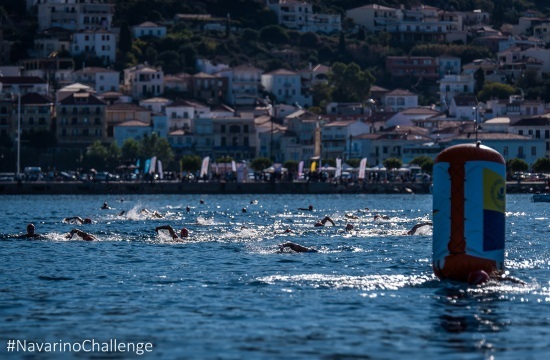 Entries for the award-winning sporting event are underway and interested parties can take part by completing the special form available at the following link: http://activemedia.com.gr/product/navarino-challenge-2019/. Pre-sale is also available online via www.viva.gr or by phone at 11876 as well as at all Viva pre-sale points.